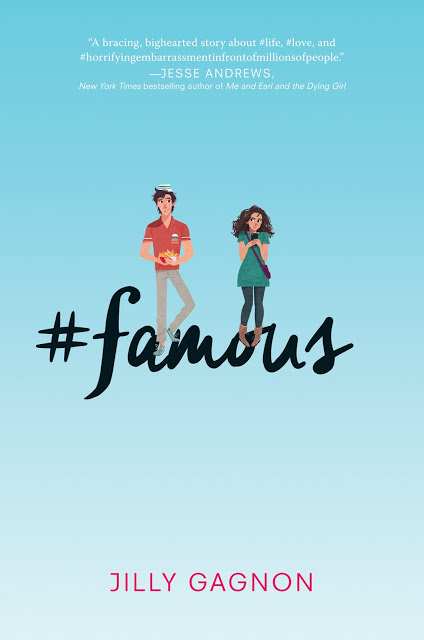 #Famous is a cute story and the premise is a fun take on the internet. I liked Rachel and maybe I bonded with her more since she was bullied about things that were similar to me, like eyebrows. My Lily Collin big eyebrows were not popular when I was in school. So I always find a soft spot for someone who is bullied. Besides that, I thought her reactions to things, even though torn up were calm. She was kind of interesting in that way. She would turn everything into a joke instead of expressing what she was feeling. Kyle in the beginning definitely seemed oblivious of the world around him. He is just so blah, even his interactions with his ex. I kept thinking, she could do better. As the story progresses, even though he is a bit clueless at least he is a nice guy. He starts to see that just doing what everyone wants him to do is not the key to happiness. I really liked Ollie and Monique. I thought they were great friend characters and Mo Mo will for sure take over the world. They needed people to push them a little bit or clue them in. I wish there was more Ollie though. For some reason I wanted him to have his own side romance. I thought the plot was really cute. 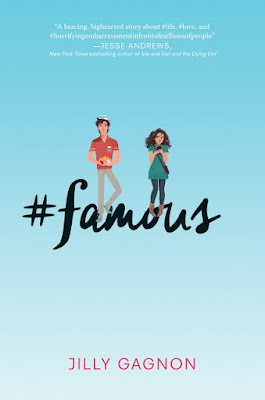 Using the craziness of the internet and pouring that into a teen drama. Including the people who like to be mean simply because nobody holds them accountable behind a computer screen. Even with that the story is light as Rachel and Kyle actually get to know one another. So overall I would say this is definitely a cute, fun and light read. One that you could devour easily in between some intense books. Jilly Gagnon is currently based in Chicago, but is originally from Minnesota, a fact she'll likely inform you of within minutes of meeting you. Her humor writing, personal essays, and op-eds have appeared in Newsweek, Elle, Vanity Fair, Boston Magazine, McSweeney's Internet Tendency, The Toast, and The Hairpin, among others.